Given that you no longer have to own PUBG to get the Battle Royale experience, how long can 2017’s breakout hit stay in the limelight? What will the developers in Korea do to fend off the competition? Brendan Greene, the “Playerunknown” of Battlegrounds, addressed the public in a new blog post this morning. Titled “2018 Roadmap,” it lays out what the team has planned for the next ten months. Greene says he and his team at Bluehole wish to ramp up production and deliver a major content update every 60 days. 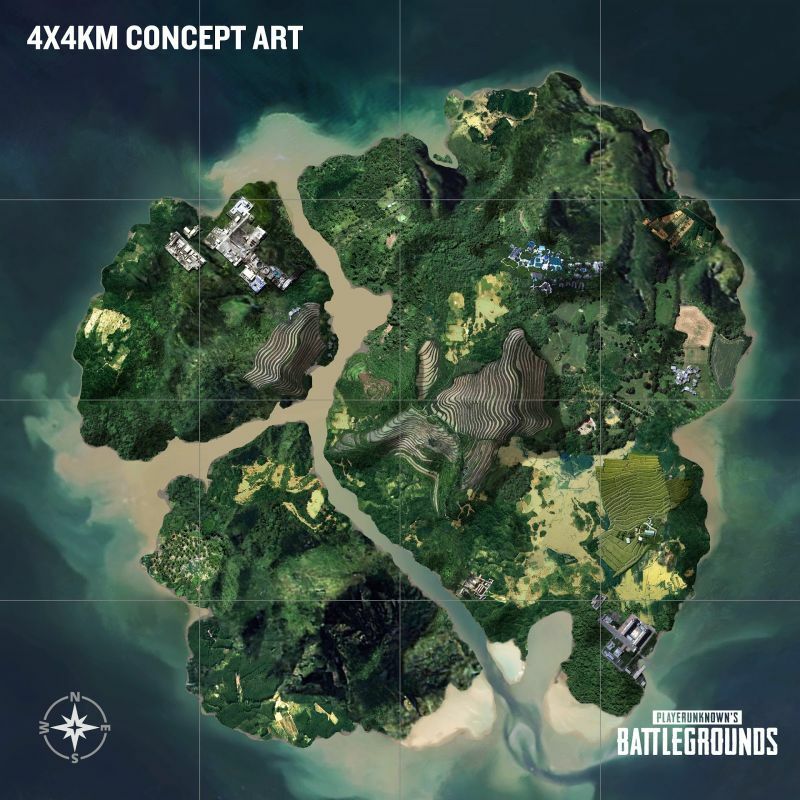 The biggest revelation in today’s post is the unveiling of a new map. It is yet to be named, but it looks more colorful and it’s packed denser than the previous two – definitely a response to Fortnite: Battle Royale. If all goes as planned, the new map will be uploaded to the test servers as early as next month. Other planned updates include an emote system, an in-game friends list, Achievements, touch-ups to animation and sound, and a refined graphical style.